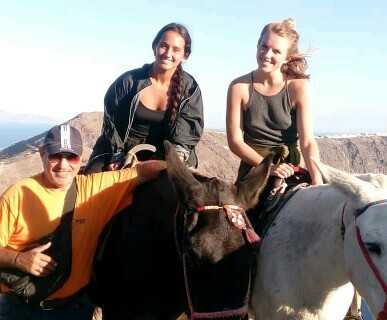 The most request it donkey tour in Santorini, we pick you up from your Hotel (prv. 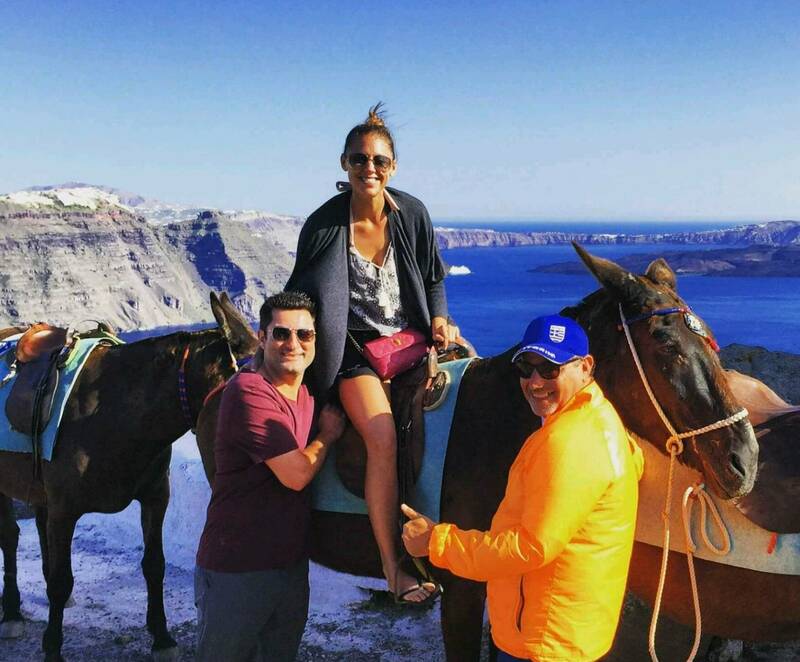 bus) and transfer you to the donkey terminal in Oia. The donkeys are in their natural enviroment, we give you instruction and the tour takes place in the highest mountain to the white church. 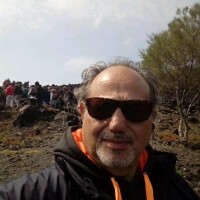 On the top of the mountain you will take pictures and see the caldera, Oia village, and the whole island. After the tour we return you back to your Hotel.